Since Thomas Cooper invented the split roller bearing in 1907, the Cooper brand has been universally accepted as the benchmark for split roller bearing quality and expertise. More than 100 years later, Cooper is proud to continue offering the highest quality and widest range of split to the shaft bearings on the market, confirming the company’s status as technology leader. 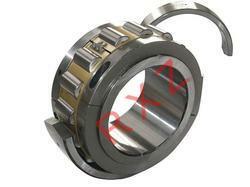 Split Roller Bearing Technology The first split roller bearing was invented in 1907 and the basic design is still used in heavy industry around the world today. What are Split Roller Bearings? As the term implies, split roller bearings are roller bearings where all the main components are engineered and made in halves. The inner race, roller and cage assembly, outer race, housing or flange support structure, and seals, are all manufactured as separable components. As with their solid counterparts, split roller bearings are manufactured in progressively heavier duty ratings to best suit the loads, speeds, and life requirements of a given application. Today’s materials and manufacturing methods ensure the reliability and long life of split roller bearings, as expected, again, with their solid counterparts. 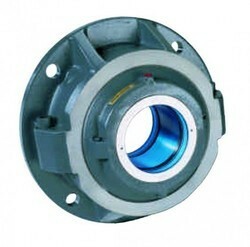 Cooper offers a wide variety of housing options to suit specific bearing types. These encompass housings for cylindrical roller bearings, housings for tapered roller bearings and housings for other bearings, and accommodate a multitude of specific applications and arrangements. Most styles of Cooper housing are available in cast iron, ductile iron or steel. Special types of housing, alternative materials and housings to special dimensions are available on request. 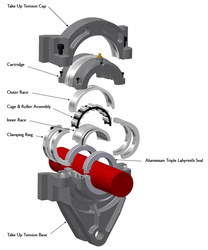 Pedestals (also called pillow blocks) are the most common mountings for Cooper bearings. Detailed design and the number of fixing bolts varies with the bearing series and size. This includes 2-bolt, 4-bolt, and large-bore options. Cooper offers pedestal ranges that allow direct replacement of SN, SD, and SAF pillow block units. This includes the SD compatible 08SDC heavy duty bearing pedestal and a modification of the standard pedestal - known as Z-line - for Marine applications. 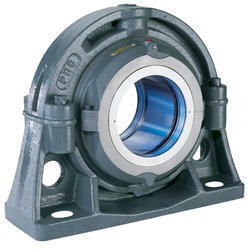 The second most popular housing option is the flange which is usually round or square. Special modifications (e.g. flat or bulkhead seal flange) are also available on request. Additionally, take-up units are available as either tension type or push type. And Rod-end units are offered as shoe type or tee type. There is also a selection of hanger mountings to choose from, including double-boss and triple-boss arrangements in addition to the standard single-boss hanger. Rapid bearing replacement at difficult to access locations Split spherical roller bearings are principally used where the replacement of unsplit spherical roller bearings would require costly additional work, involving the removal of gears or couplings, the dismounting of drives or the dismantling of shaft power trains. The use of split spherical roller bearings reduces the downtime of machinery and plant. Looking for COOPER BEARING ?